The Nant de Drance pumped-storage power plant has an overall capacity of 900 MW. 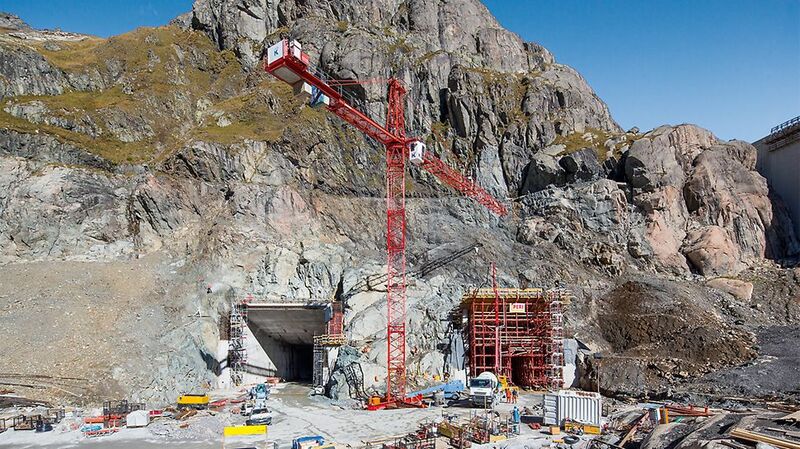 The power plant is located mostly underground at an altitude of 1,700 m above sea level between the two reservoirs of Emosson und Vieux Emosson. 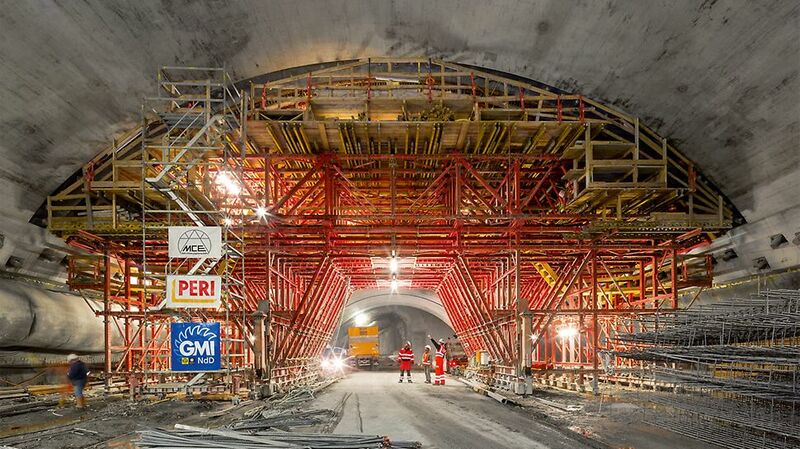 The machine cavern for the installation of the pump turbines with its length of 194 m, width of 32 m and height of 52 m is one of the largest subterranean structures in Europe. PERI and MCE offered a sophisticated formwork plan and support during construction and assembly by a supervisor during the construction work. 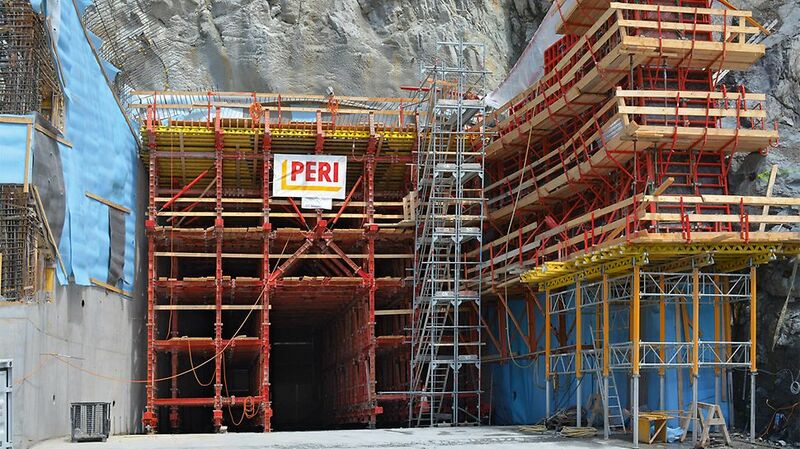 My compliments to the Swiss PERI team and to MCE for this extraordinary, customized formwork solution. With up to 300 m³ of concrete per section, we only had a minimum of deformations. 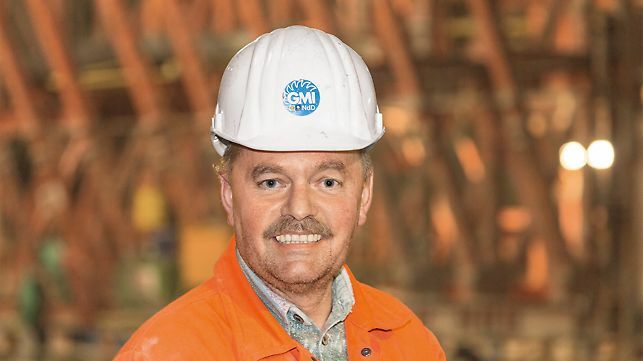 PERI Switzerland plans and supplies a modular-type formwork carriage solution in close cooperation with MCE Engineering. 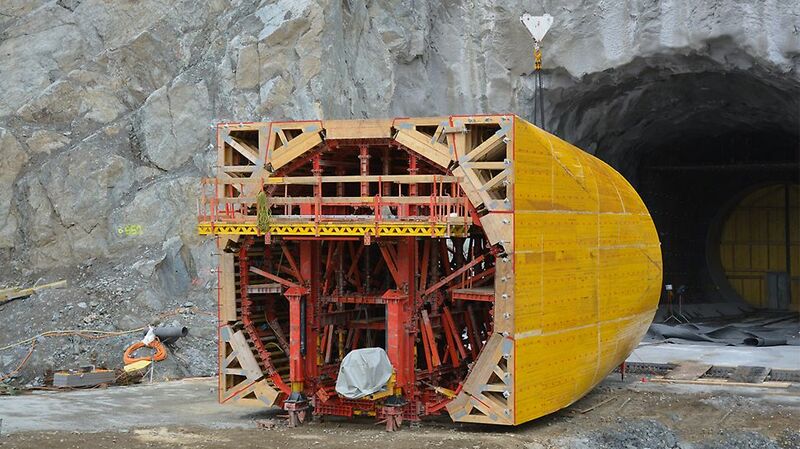 To achieve a fast cycle sequence, the tunnel formwork carriage, which is equipped with an electrical drive, can be hydraulically lifted and lowered. The lateral anchoring walers were concreted in advance, also with a hydraulically operable PERI formwork carriage structure. Dimensionally-accurate prefabricated formwork elements allow the transition from a circular to a square-shaped tunnel cross-section. 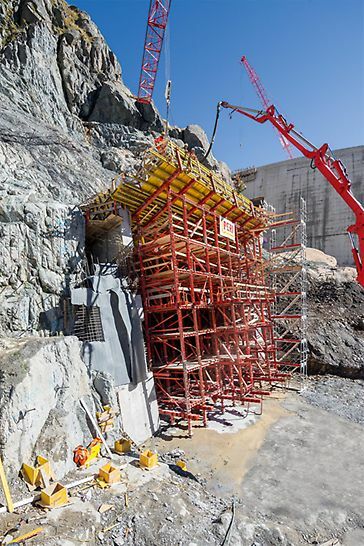 For the extensive construction work above and below ground, also TRIO panel formwork in connection with SB brace frames and climbing brackets were used to be able to form and concrete the walls which are up to 14 m high.